as recent as the 20th century. Come December, the world gears up to celebrate Christmas. Fir trees festooned with tinsel, dusted with snow and sprinkled with winking stars and shiny baubles, rotund Santas in red felt caps, plum cakes and bow-tied packages – these are some of the conventional images of Christmas, and they are replicated faithfully to capture the spirit of the season in store windows, churchyards and homes. Most of these scenes are set in the Western world, where it is snowy winter at this time of the year, and, as such, the background is alien to much of India. Few realise, however, that Christianity in India is as old as it is in other parts of the world. The disciples of Christ set out almost simultaneously to different corners of the earth to spread his teachings. One of them set sail for a distant land where there were Jewish settlements. That man was Thomas, also called Didymus, one of the 12 apostles, the core group, so to speak, of Jesus’ disciples; and that land was India. 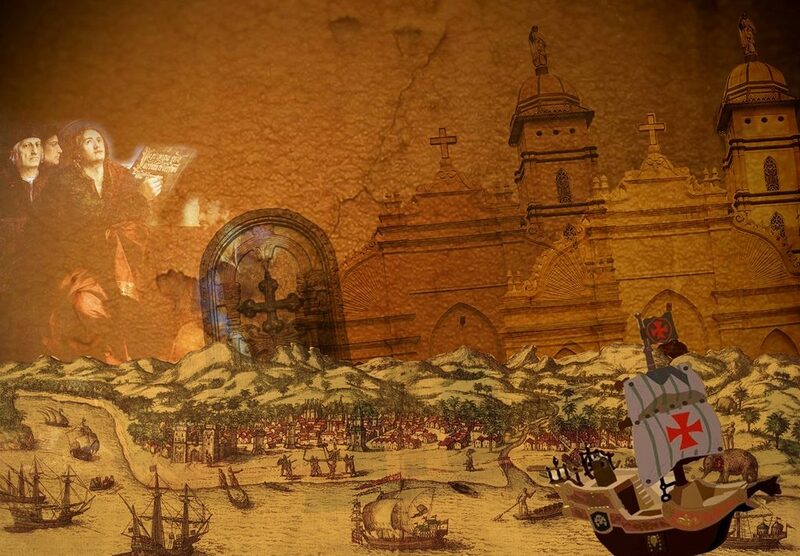 According to tradition, St. Thomas landed on the south-western coast of India – present-day Kerala – in 52 AD. Muziris, an ancient port city and an important point on the Spice Route which is currently being excavated, is likely to have been his starting point. He moved through the region and subsequently went to the opposite coast, talking about Christ. He baptised several groups of people. It is believed that St. Thomas established seven churches on the south-west coast. The Kodungallur church in Kerala is popularly believed to be the oldest in the country and about as old as the oldest churches anywhere in the world. It is of historic and religious importance. Of course, this and other ancient churches have been rebuilt time and again, and the present structures are very different from the humble edifices that were originally erected. As time passed and the number of Christians grew, priests from Syria were sent to conduct services at these churches, and the language of worship was largely Syriac. The descendants of these early Indian Christians are now known as Syrian Christians. To get back to St. Thomas, he moved to the south-eastern coast and established churches there too, before being killed in what is today the city of Chennai. A heritage church stands on the hill where he met his end. It bears his name – St. Thomas Mount. And the Santhome Basilica, also in Chennai, is one of only three churches in the world built over the remains of an apostle. And that brings us to the fact that Christianity came to India not once, but twice. 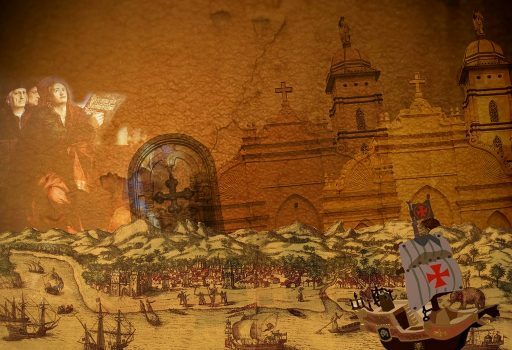 The second time, it was brought by Portuguese traders. They came to find pepper, and also the Christian communities that they had heard about. They set about introducing their own Latin-based form of worship. 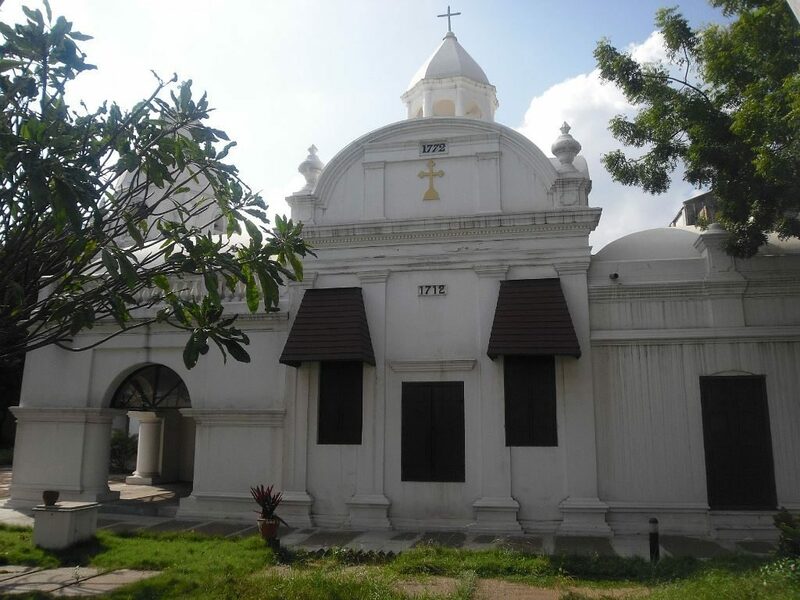 It was the Portuguese who discovered the place where St. Thomas was buried, and built the first church at Santhome. 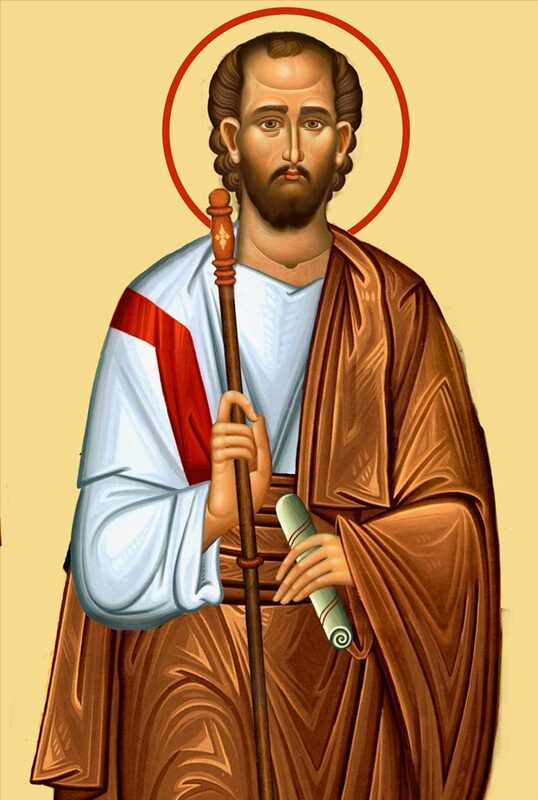 St. Thomas or another disciple of Christ, St. Bartholomew, is believed to have preached in what is present-day Goa too, but it was the Portuguese who were responsible for the large number of Christians in the State. In fact, Old Goa was known as the Rome of the East, such was its importance in the Roman Catholic system. Old Goa has many old churches, including the Basilica of Bom Jesus, where the relics of St. Francis Xavier are kept for veneration. These relics are brought out for public viewing once in 10 years, and devotees come from around the world to see them. The British left a mark on the Christian scene in India too. As England had established its own Anglican order, the Englishmen who came to India as part of the East India Company and put down roots at Fort St. George in Madras needed a place of worship. They built the St. Mary’s Church in 1680 to fulfil this need. It is the oldest Anglican church east of the Suez. Worship services continue to be held there, and the marriages, birth and death registry is being maintained since the time of its consecration. Two of the earliest and most famous marriages solemnised there are those of Elihu Yale (who gave his name to Yale University, the United States) and Robert Clive, who laid the foundation for the British Raj in India. As different denominations set up churches for their followers across the country, ultimately, consolidation seemed a good option. Many of them were clubbed together region-wise as the Church of South India (CSI) and Church of North India (CNI). The St. John the Baptist Church, simply known as John Church, in Meerut, Agra Diocese, was built in 1821 and is considered the oldest church in North India. 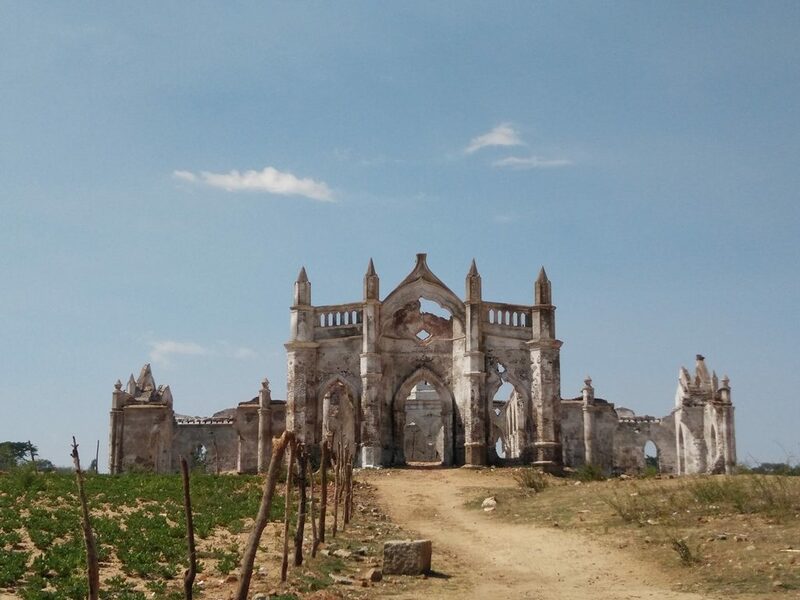 The Medak Church in Telangana, originally consecrated in 1924, is one of the largest in Asia, and the diocese (an area under the charge of a bishop) it serves is the single largest in Asia, second only to the Vatican in the world. Apart from these churches which are markers of the history of Christianity in India, there are some that stand out from others. One such place of worship is the Rosary Church in Hassan, Karnataka. It was built in 1860 on the banks of the river Hemavati. Everything was fine till the Gorur Dam was built nearly a 100 years later. The dam is opened during the monsoon season, and the water rises up the walls of the church till only the tip of the spire is visible when the rains are most heavy. Unsurprisingly, it is best known now as the ‘Submerged Church’. Another unique church is the Moravian Church at Leh in Jammu and Kashmir. It was built by East German missionaries in 1885, at an altitude of over 11,000 ft. Although it is almost 150 years old, it has a modern look, and is the highest church in the country. So, if you are in the neighbourhood of any of these churches, don’t forget to drop in and experience history. Culturama wishes all its readers Merry Christmas and a Happy New Year!